Three NACK paddlers took the plunge 🙂 and participated at the Hudson River festival last weekend. 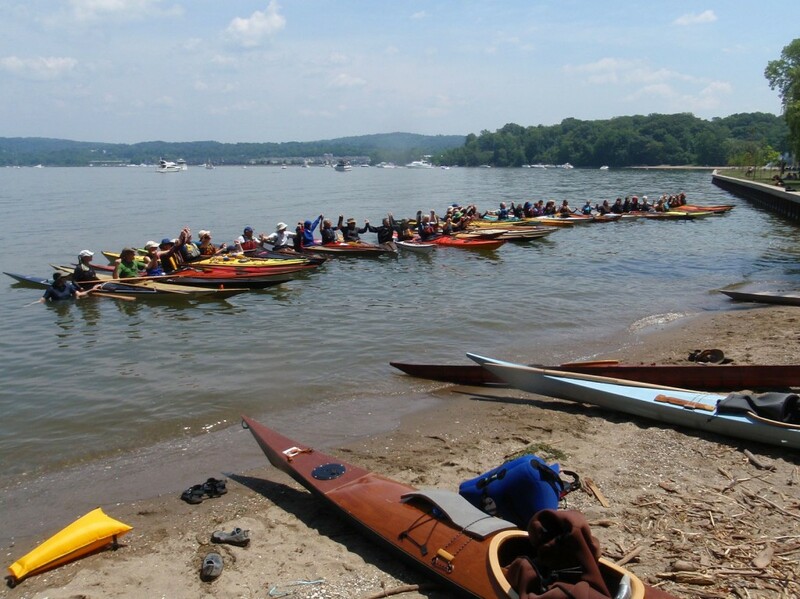 They were joined by paddlers from several northeastern states and some from as far away as Virginia, Portland Oregon and Canada. 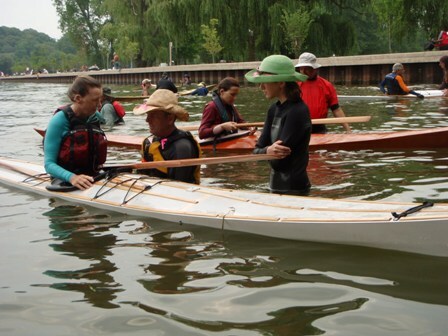 At least 50 paddlers turned out to learn Greenland rolling technique and work on their paddling skills. It seems that more and more paddlers are trying the greenland paddle and learning new (and often easier ways) to roll their kayaks. This festival was no exception and provided expert instruction from an outstanding group of mentors. Many thanks to the Yonkers Paddling and Rowing Club for sponsoring the event and to all the mentors like Peter Gengler and McKinley Rodriguez pictured above with Ann Kaiser. McKinley was the 2009 Womens Champion at the Greenland National Kayaking Championship. 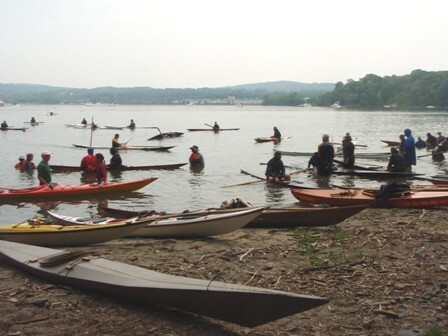 They patiently spent hours in the water helping kayakers learn and refine their rolling and paddling skills.